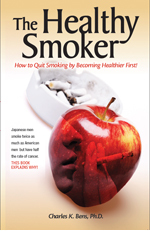 The author describes healthy smokers he has known and studied, and explains how this health phenomenon is possible. This concept flies directly in the face of conventional medical wisdom which contends that smokers are among the unhealthiest people on the Planet. That well-established opinion further claims that smokers can become healthy only by quitting their habit. Even if you do not quit smoking at the end of 12 weeks, Dr. Bens guarantees most of you will be much healthier than when you started this program. The author, Charles K. Bens, Ph.D., says this conventional wisdom is all wet and his research clearly shows that any smoker can actually become healthier than the average American. Of course, Dr. Bens notes, this is not difficult because the average American is not very healthy. Over 70% of the U.S. population is chronically ill, over 75% are overweight and only 16% get the daily exercise they need, according to The National Institutes of Health and The Centers for Disease Control. This book tackles the diabetes epidemic from a completely unique and powerful perspective. 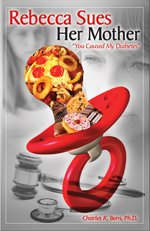 It is the story of a nineteen year old college student who finds out she has Type 2 diabetes and decides, with the urging of her law student boyfriend, to sue her mother for causing her condition by feeding her the wrong foods while she was growing up. She must deal with friends who are originally clued out, a doctor with limited knowledge about natural medicine and parents who are in complete denial. This has been confirmed by the application of this research by many respected doctors such as Mark Hyman, Julian Whitaker, Dean Ornish, Neal Barnard, Michael Murray, Gabriel Cousens and Cass Ingram. In many cases the success rate is 90-100% with diabetes sometimes being reversed in as little as three days. use it to prevent wellness as well as find proven natural therapies for chronic health problems. 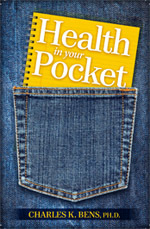 This little book saves employers a minimum of $3.00 for every $1.00 of cost through reduced absenteeism and reduced use of health services. It puts the responsibility for prevention where it should be, with employees.